Landscape art never interested me. My partner often teases me for disliking the Hudson River School, an artistic fraternity that ever-artist-ever loves or admires, spare me. But Reuben Wu changed all of that. I first found Reuben Wu in 2013 when I was running my old blog. His work proved to me that not all landscape art is homogenous and dull. In his series, "Última Esperanza," Wu captured images of Chile's, you guessed it, Última Esperanza. 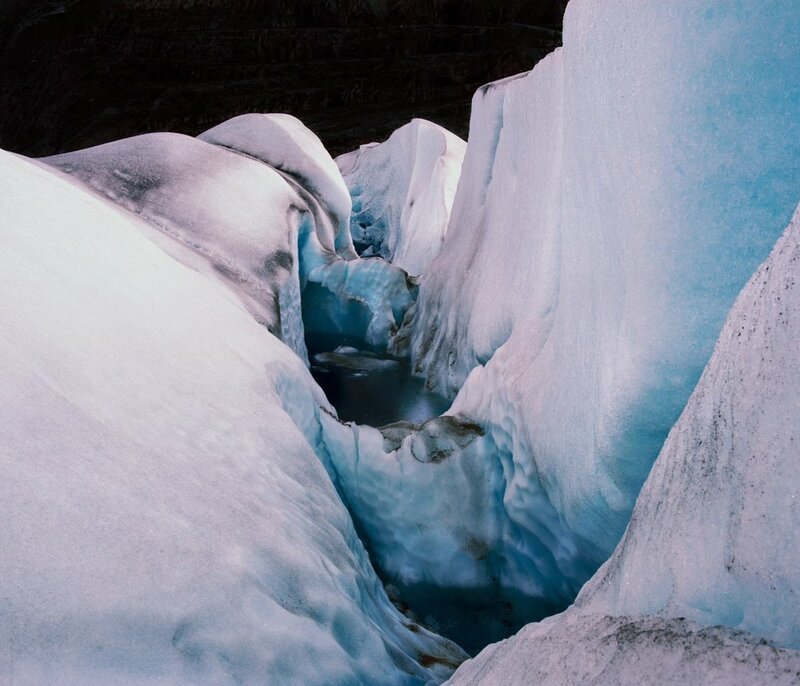 Among those photographs was the Southern Patagonian Ice Field. Wu's awareness of form and color is enviable. He works with the environment's curves, jagged ice faces, and reflective nature to construct dynamic compositions. Wu's ability to give movement to static land masses is impressive. I find myself enamored, if not completely awestruck, by his impressive snapshots of the Última Esperanza's unique physicality. Want to see more of Wu's work? Visit his portfolio site.